Legal Translation Services are an essential requisite in the current trans-cultural global population. Our authentic translation services in Rome, Milan, Naples, Turin and Palermo for Arabic to English and English to Arabic Translation of Death Certificates, Laws, Deeds, Wills, Marriage Certificates, Court Pleadings & Judgments, Academic Certificates, Memoranda of Association, Arab Official Gazettes Tables of Contents, Divorce Certificates, Contracts, Birth Certificates, Powers of Attorney, etc. afford us the approval of law firms, lawyers and legal offices. 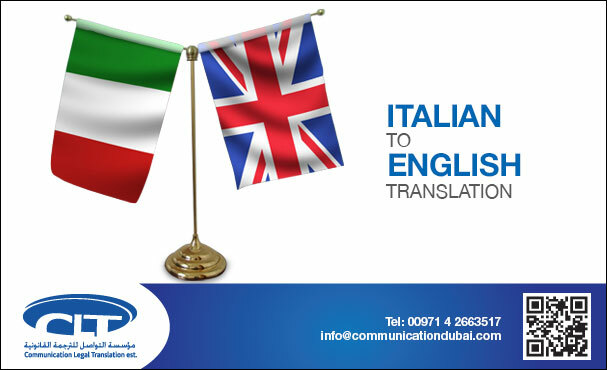 Our valid, articulate and exact Legal Translation Services in Italy are unquestionably the most excellent on hand.